Serious investors don’t like being labeled as speculators or market timers, and as a result, almost every industry professional claims to be a long-term investor. In reality, the vast majority are not. I want to discuss some of my own thoughts on what it means to be a long-term investor. The rationale of long-term investing is well understood. Daily or even monthly stock market price movements are unpredictable and essentially random, driven by the news of the moment and investor emotion. In contrast, things like a company’s competitive advantages and capital allocation policy can be analyzed, evaluated and understood. By investing in the long-term (ideally at least three to five years) the long-term investor hopes to see these company-driven factors outweigh the effect of daily fluctuations on stock prices. This is what Benjamin Graham meant in his famous observation that “in the short run, the market is a voting machine but in the long-run, it is a weighing machine”. The implications of the investor’s time horizon on investing in a stock are profound. If one is planning to hold a stock for a few months or a year, there is little need to analyze the company’s competitive advantage or management quality. Apart from general stock market movements, what matters within such a short time period are specific catalysts that are mispriced by the market. There are many hedge funds called “event-driven” investors that try to capitalize on this kind of mispricing. Although there are fund managers that do this successfully, this is largely an arms race of data and by extension, of financial resources. For example, there are hedge funds that purchase satellite data that includes pictures of Walmart parking lots, so that by counting the number of customer cars the hedge fund can estimate whether Walmart is likely to beat or miss earnings expectations for the quarter. At Baskin, we have chosen not to play this game. Another example would be Apple. For those planning to invest in Apple’s stock for less than a year, what likely matters most is the sale of iPhones relative to the consensus forecast in the coming quarter. Short term investors might buy the stock after reading data showing that Apple’s parts suppliers in Asia appear to be very busy. Again, this kind of focus on short term price movements based on transient conditions has little to do with long-term investing. For those planning to invest in Apple for longer periods, say one to three years, the focus may be on the current lifecycle of iPhones as well as near-term product launches and product features relative to competing products. Again, there are plenty of people who analyze each phone’s features and product launches to death and most of these things are well understood by investors and typically discussed in depth on conference calls. We think it is very difficult to develop an investment advantage based on these kinds of factors. The industry and operating environment that the business operates in also matter, although history tells us there are no businesses that are so good (apart from regulated utilities) that they can cannot be disrupted by competitors offering lower prices or superior products and services. It was not too long ago that newspapers were viewed as the perfect business model. 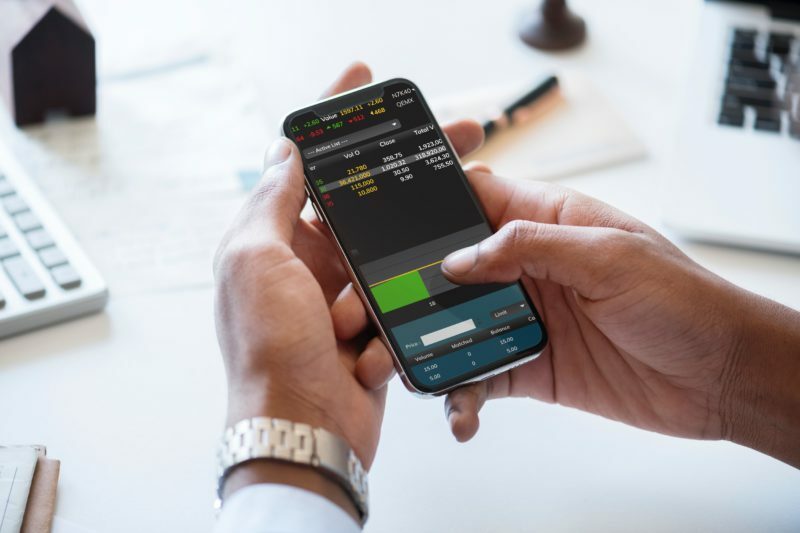 A study done by MFS Investment Management found that the average stock on the New York Stock Exchange is held for just 8.3 months while the average mutual fund manager owns any given stock for, on average, 1.62 years. This implies that most market participants are not thinking about the long-term factors that drive value such as a company’s innovation and management quality. Whatever they may say, or tell themselves, they are really short-term investors. It is here where we think that a reliable edge can be developed in analyzing stocks. I think a key reason why most investors end up being short-term investors is that we live in an era that demands instant gratification and certainty. We want every stock we buy to move up the week after we buy it. Another reason is that the longer the period being forecast, the more difficult it is to make financial projections for a company, and have any sort of certainty with regards to the future. Innovation not only means launching new products, but also being ahead of trends and being creative in finding new ways to serve customers. Starbucks was one of the earliest companies to enable mobile payments by customers on their phones. This increased customer engagement by providing customized marketing, while at the same time speeding up service by reducing in-store lineups. That is innovation. Innovation also means that management prioritizes the long-term health of the business at the expense of higher short-term profits. To be sure, there is no bulletproof metric that tells you a business’s level of innovation. The only way to evaluate this is to carefully study the strategy and track record of each company, talk to the management and employees, and make an educated guess. Some companies are burdened with legacy business models that make it nearly impossible to innovate themselves back to their previous glory. For the long-term investor, these are the companies to avoid no matter how cheap their stock prices may look. A company’s ability to execute is the more underrated factor. There are too many companies that have the ability to create amazing new products, but ultimately fail due to lack of skill in business operations. If a company routinely misses expectations and puts the blame on others (supply chain issues in one quarter, and manufacturing issues in another), that should tell you something about the management’s ability to execute. High debt loads are another factor that affect execution. Companies that are highly levered with debt lack financial flexibility and cannot easily be opportunistic and reposition themselves in a changing environment. Tesla Motors (TSLA) is a terrific example of a business that has a clear ability to invent innovative products that people want to buy, but seems to lack an ability to execute on the lofty promises made by its CEO. The downside of long-term investing is well, that it’s long-term. The market gets easily distracted by things that likely don’t matter at all in the long-term, and the long-term investor must put up with inevitable volatility in stock prices caused by things that, in the end, don’t really matter. Between September 2012 and June 2013, Apple’s stock declined by over 40% from $90 to $50, with a laundry list of concerns being summarized in this article: https://www.businessinsider.com/apple-stock-new-low-2013-3. If you believed, during that period, that Apple would continue to innovate and execute well, almost none of the things on that list (for example, a shift to lower margin tablets) would matter to you. Indeed, this price decline provided a terrific buying opportunity. Apple subsequently rose from under $50 in early 2013, to over $200 today. Long-term investors were rewarded for their patience.